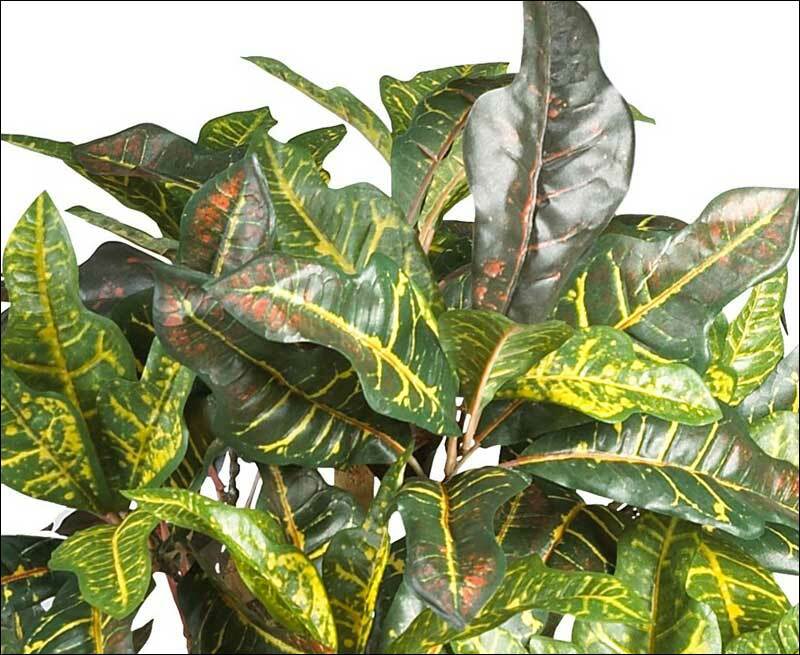 Just one glance at this breathtaking Malaysian Croton silk tree and you'll be daydreaming of a tropical paradise. 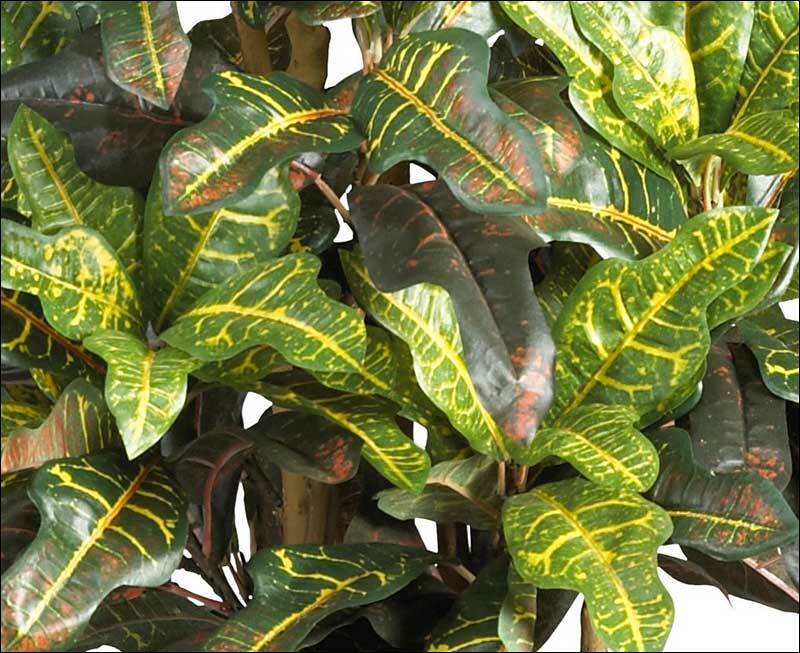 The large multi-colored leaves of this extraordinary tree are sure to spruce up any home or office environment. 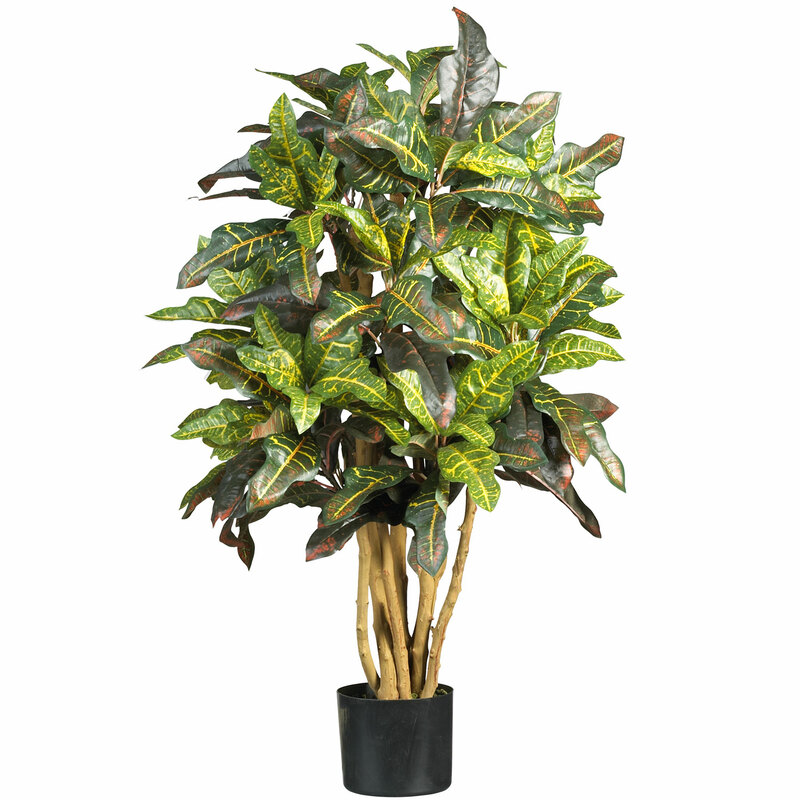 At three feet tall, this grand Croton is certain to leave a lasting impression. The colorful foliage and natural stalks add a touch of authentic appeal to this everlasting beauty. 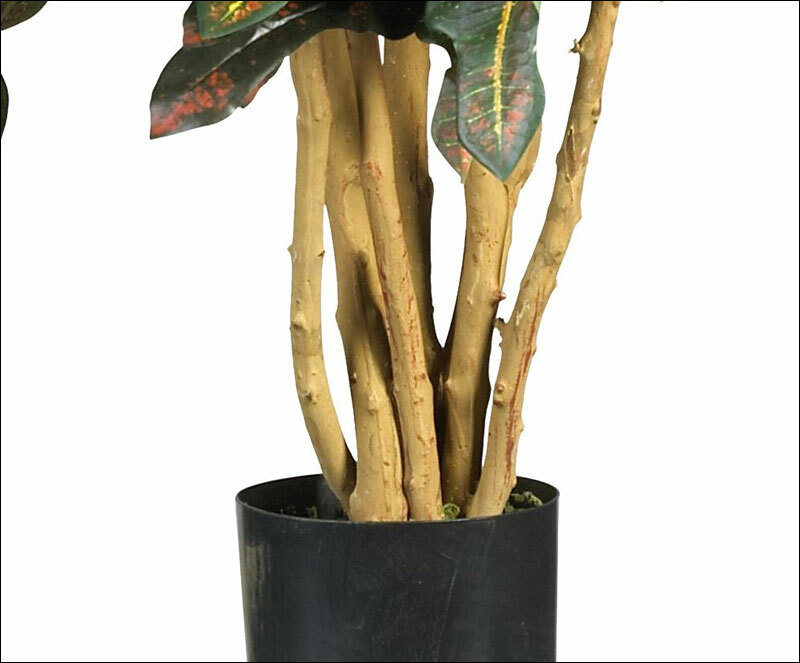 Height - 3', Width - 24"
Pot - Nursery Pot: W: 5.5", H: 5"